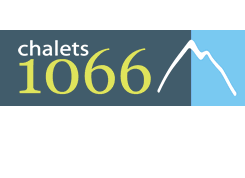 Choice of 15 Chalets and Apartments in Les Gets, Fully Catered and Self Catered Accommodation – something for every budget and taste. 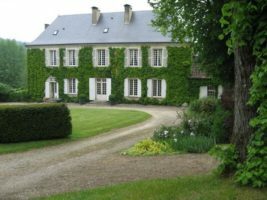 At French in the Dordogne we are delighted to invite you to le Bourdil Blanc, near Bergerac, for an inspiring week-long residential language holiday. Improve your French on our immersion courses whilst enjoying this most beautiful part of France staying in a lovely French manorhouse. A leading Provence residential centre organizing intensive French courses for adults in all year long, Since 1995 our courses in immersion will allow you to improve quickly your language skills. Ideally situated in the heart of medieval Beaune, Capital of the wines of Burgundy, just minutes away from the famous Hospices de Beaune and the Notre-Dame Basilica, the Hotel Le Cep is a genuine institution in this town. Le Cep owes its charm to the uniting of 2 private mansions and their historical 16th courtyards. Le Cep has been a family-run institution for nearly 30 years, and both father and son have continually added on to the main building, to finally create the historical and emblematic hotel it is today. H2olidays is a fully bonded and insured travel agency offering you guaranteed lowest price on cruises on self-drive boats, hotel barges and cruise ships. Their team will help you find the holiday of your dreams and offer you friendly advice to help plan your trip. The ideal location for your river cruise on the inland water ways of Southern France is Caroline. She offers an absolutely exceptional way of relaxation during your stay in Europe. From a few days till a week or two; You will discover the unique charm, navigating on one of the UNESCO world cultural heritages: The Canal Du Midi. Var Villa Holidays is your guarantee of an unforgettable trip to the South of France. We have been established in the Var for over 20 years and place at your fingertips a variety of apartments, villas and maisons de maître throughout the area; from Saint Raphael, Grimaud and Draguignan as far as Tourtour and Mons plus everywhere in between. Situated to the south of Carcassonne and set atop a raised field of vines stands an impressive Domaine. 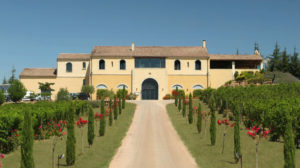 This is Domaine Gayda, the new face of wine and cuisine in the Languedoc Roussillon. Learn English or French, while soaking up the atmosphere of picturesque Cucugnan on an idyllic language learning holiday! Do you need to learn English in a short period of time, prepare for a trip abroad or improve your hang of the language? Contact me! Whether you need a night, a week or more, discover these charming luxury chalets. Also available for events, business receptions, and weddings. The area itself is surrounded by forests and golden sandy Mediterranean beaches.